HKIII Diabetes Management System is a holistic approach to improve diabetes and achieve optimum health. 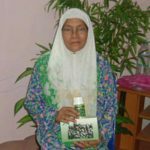 It doesn’t treat symptoms, it treats body. 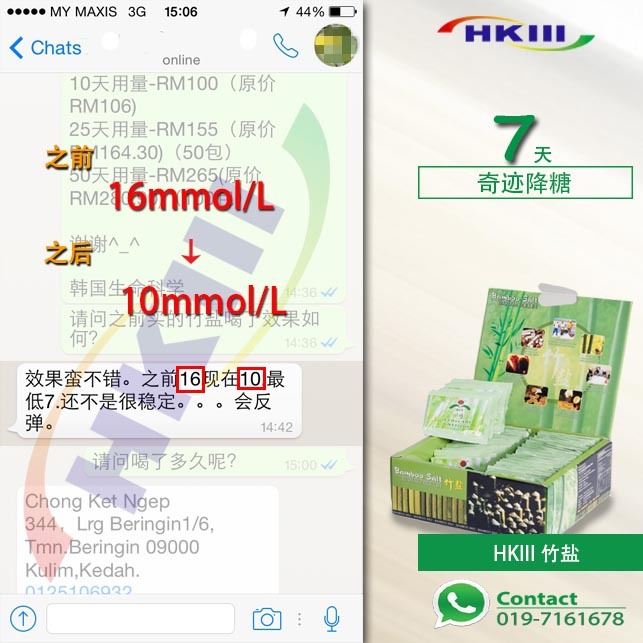 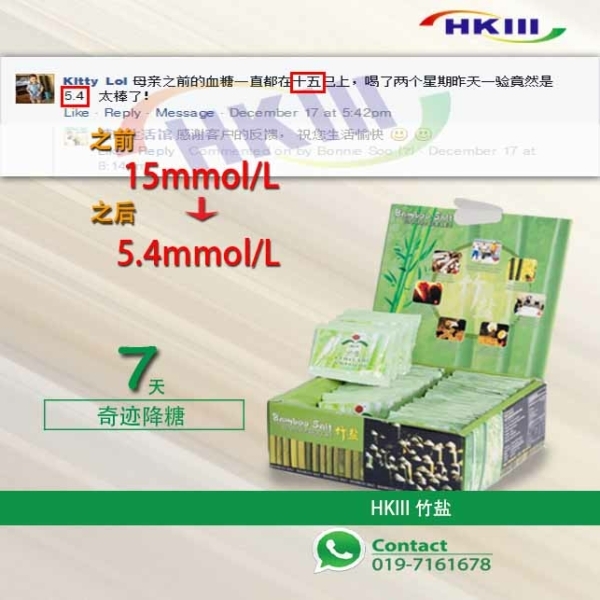 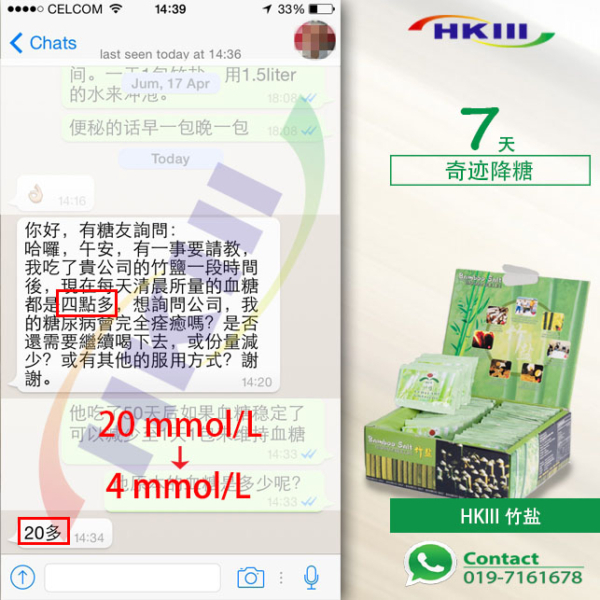 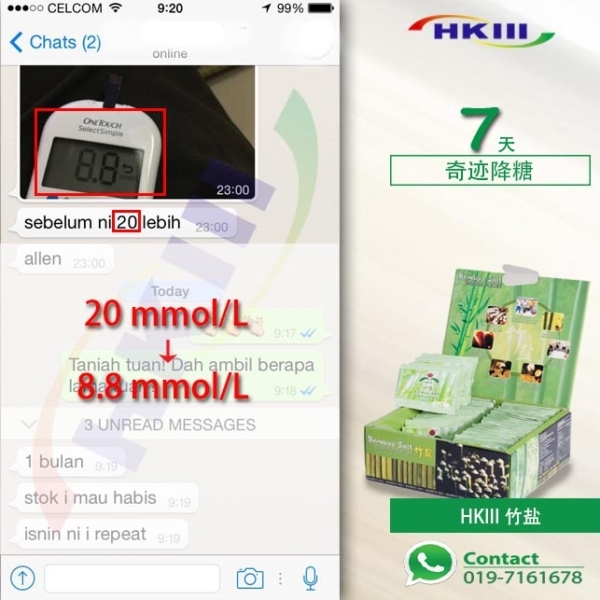 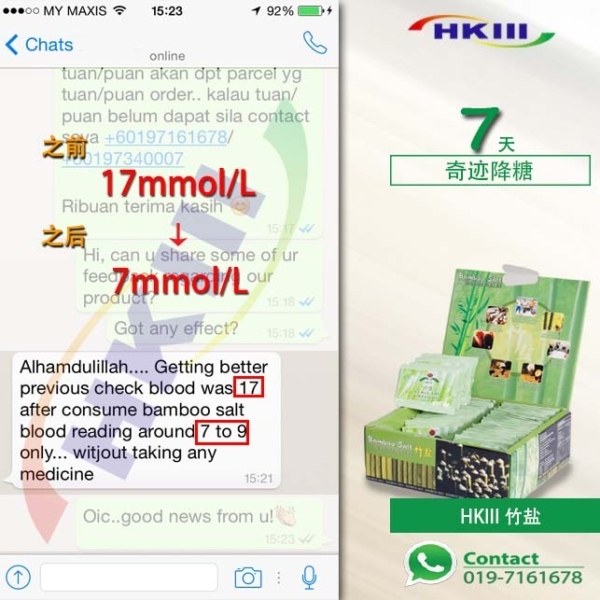 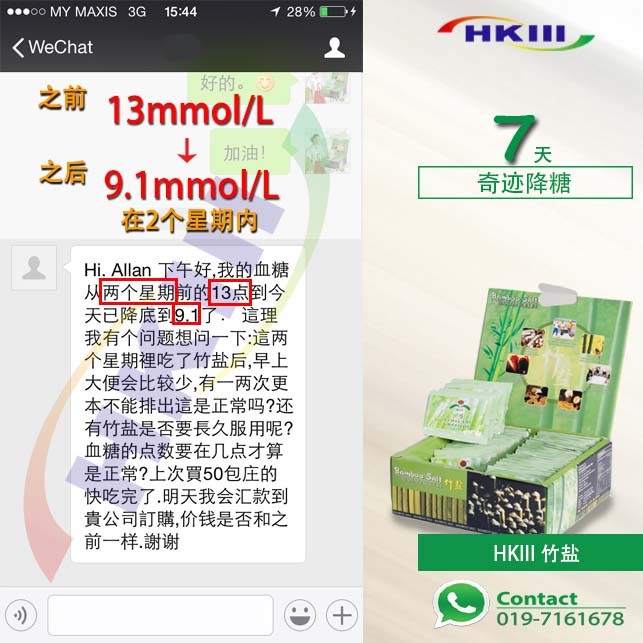 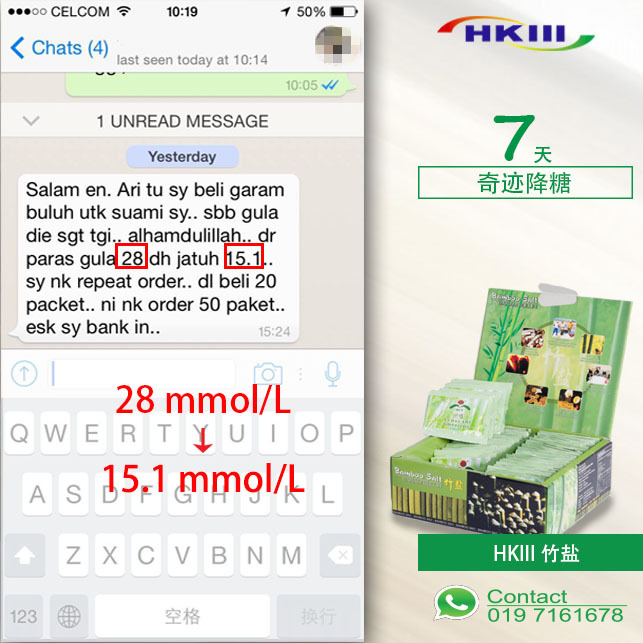 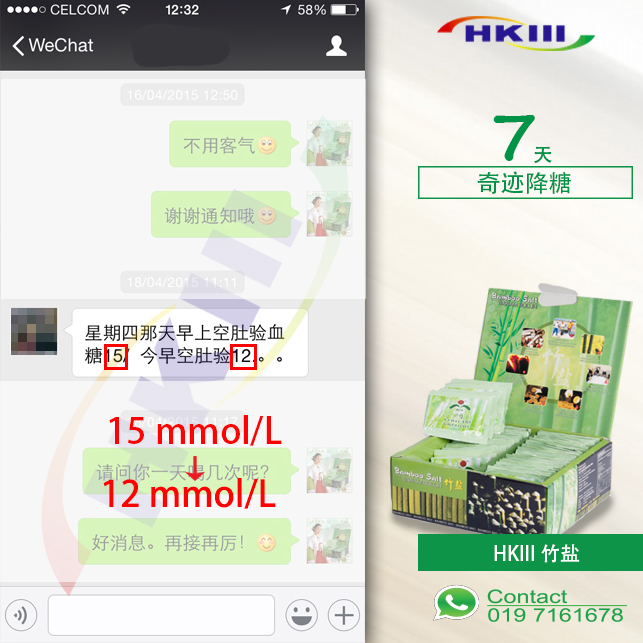 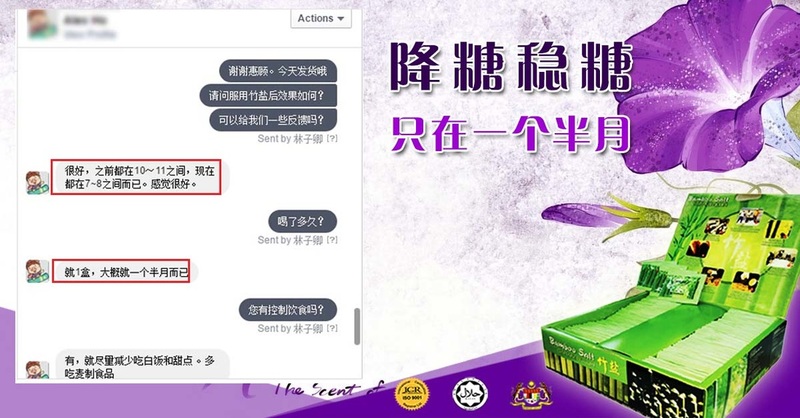 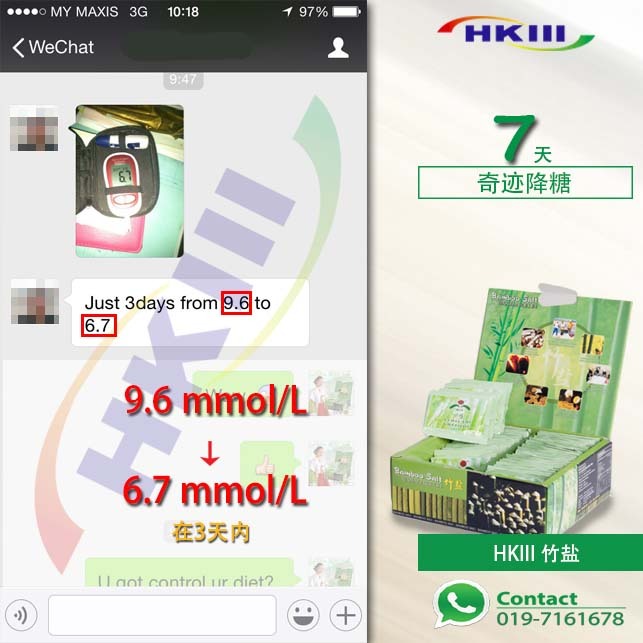 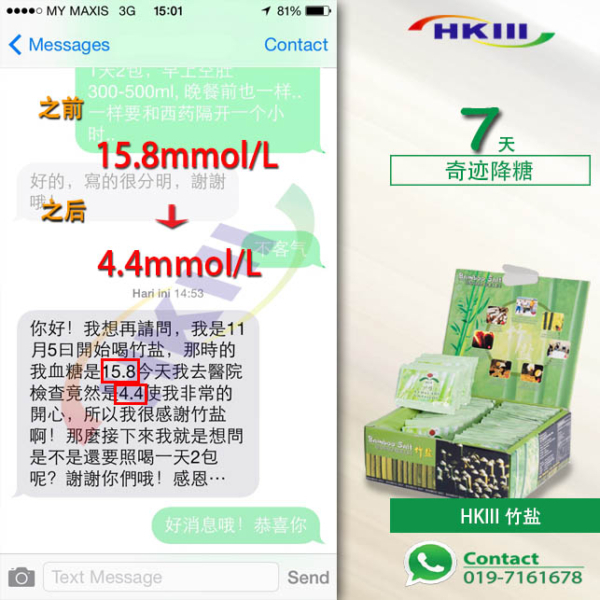 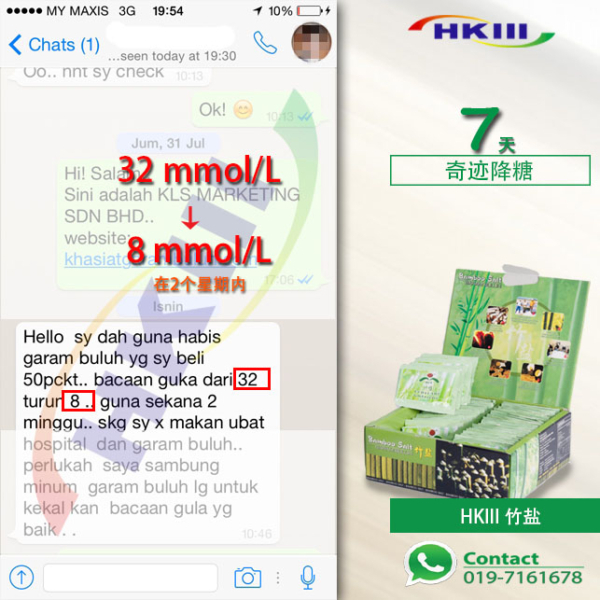 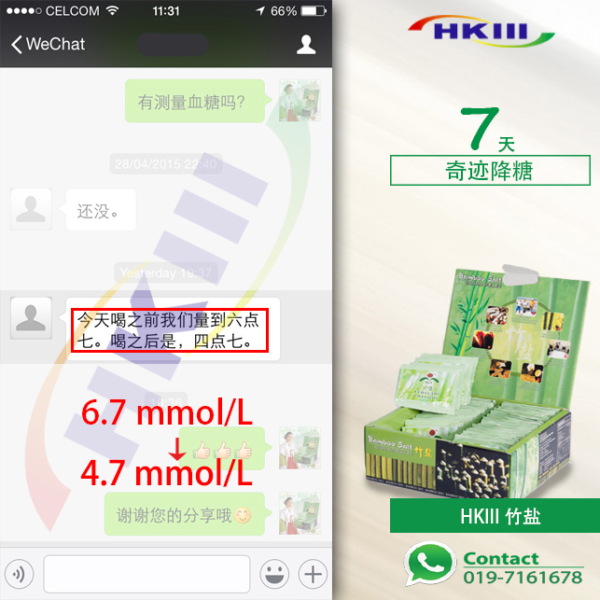 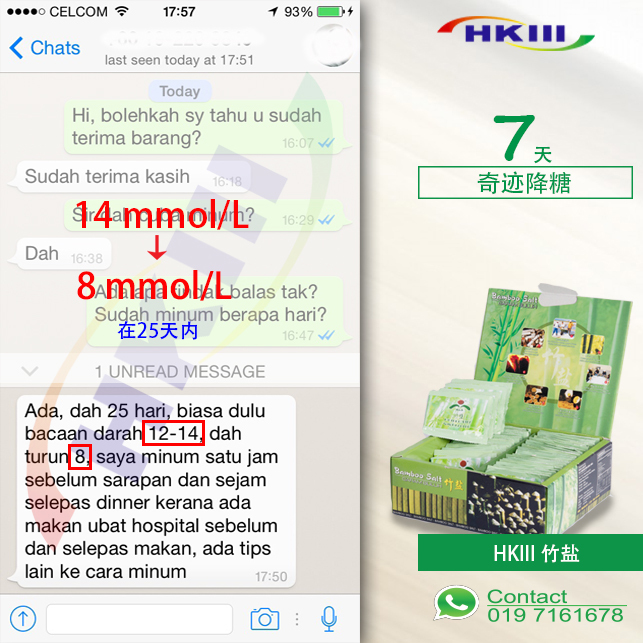 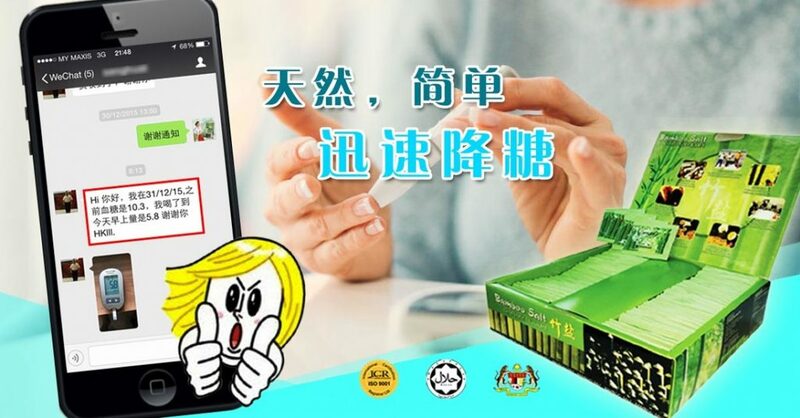 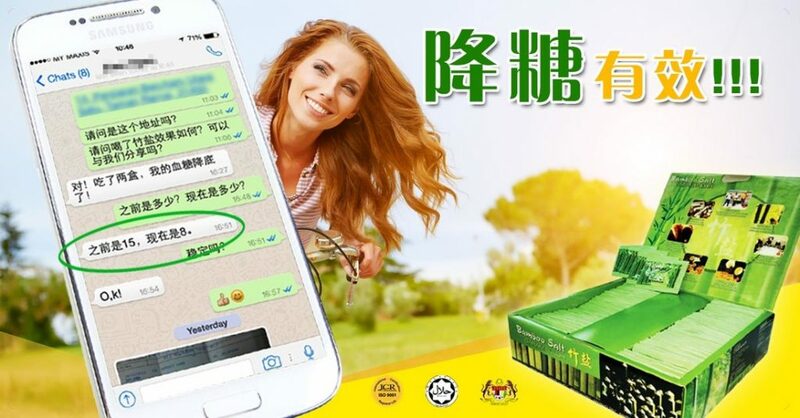 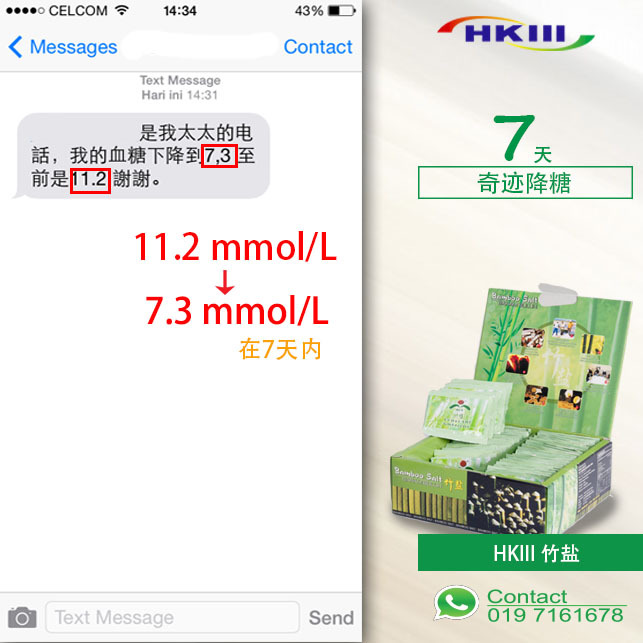 After consuming HKIII, the blood sugar level has dropped from 10 mmol/L to 5.8 mmol/L! Quality product creates healthy life! 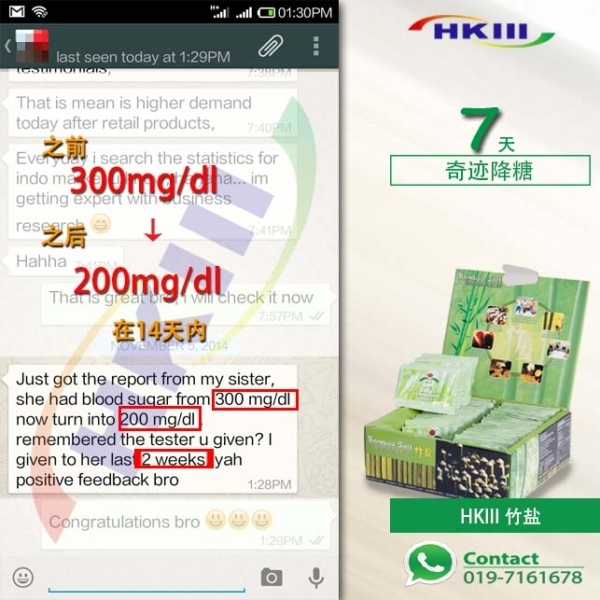 I am suffering from diabetes (three years), constipation and insomnia. 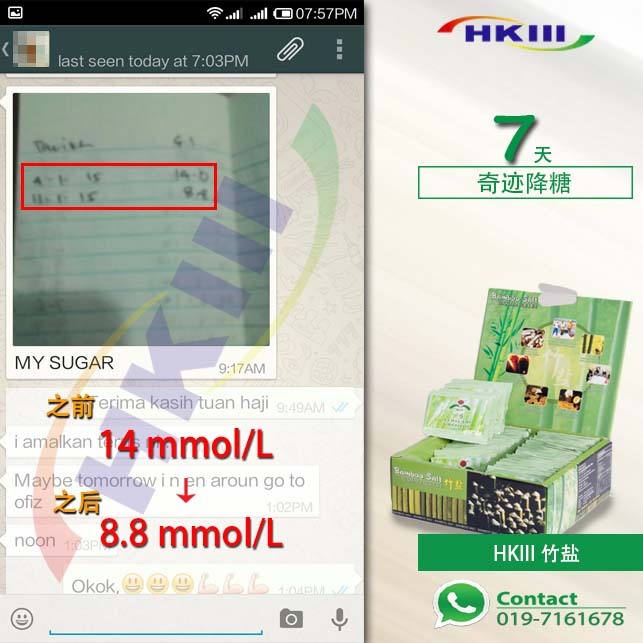 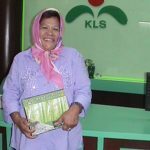 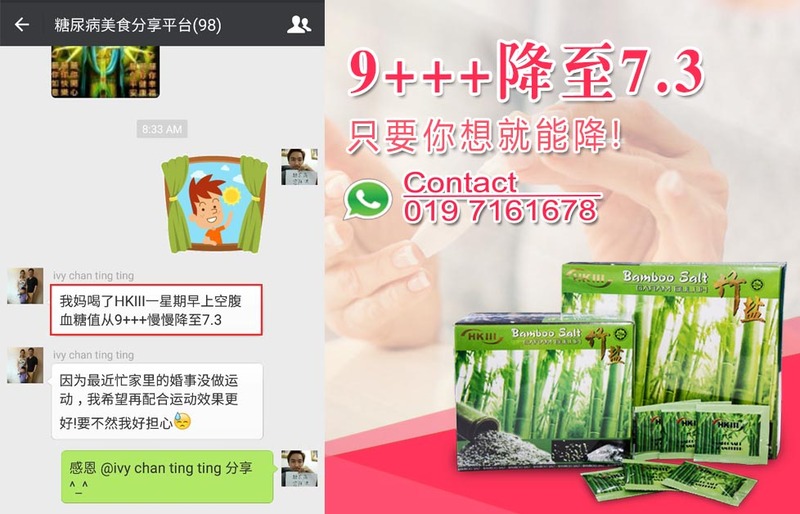 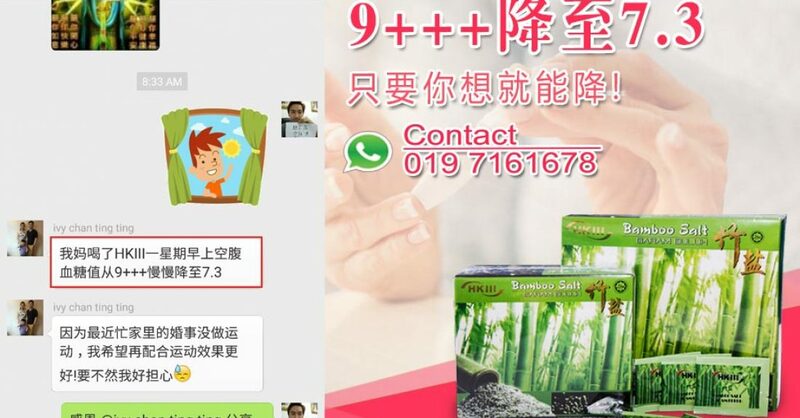 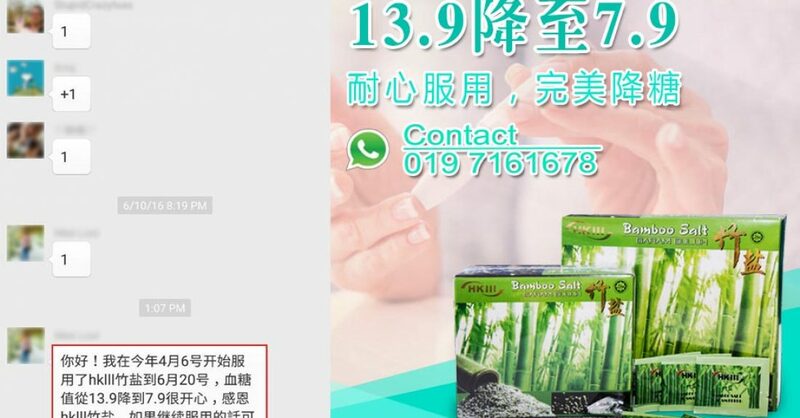 At first, I used 3 packs of HKIII bamboo salt per day, it is after breakfast, after lunch and before bedtime respectively. 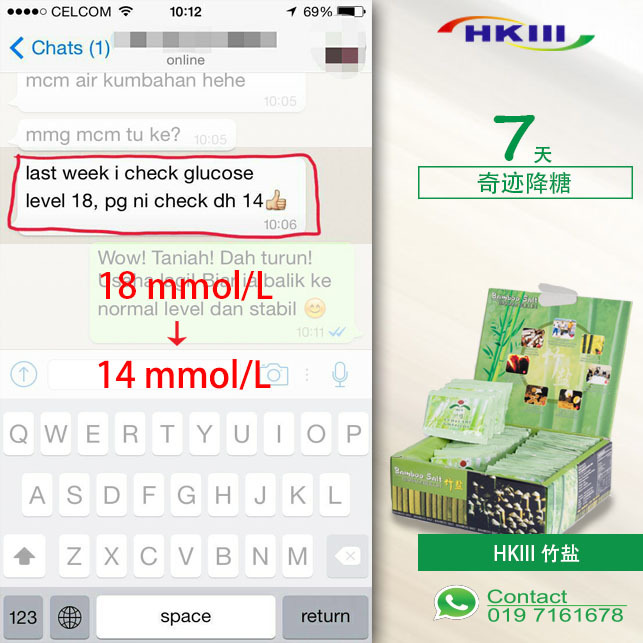 Thanks to God, my blood sugar has dropped from 14mmol / L to 7mmol / L in just one week! 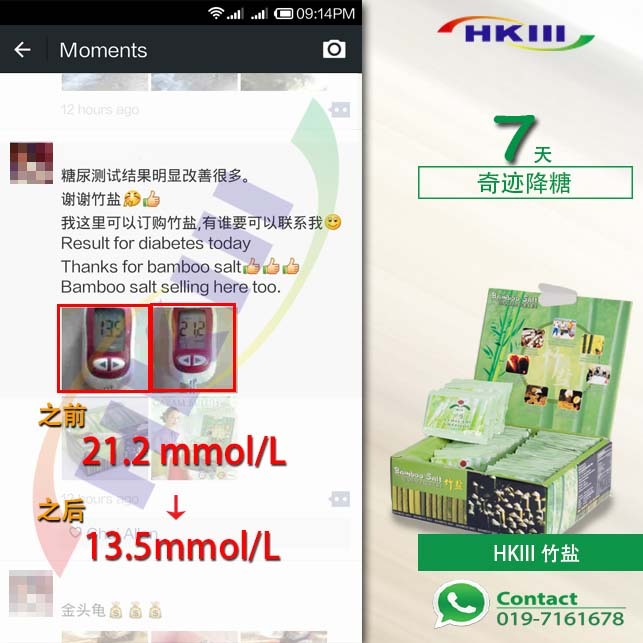 Thanks HKIII Bamboo Salt! 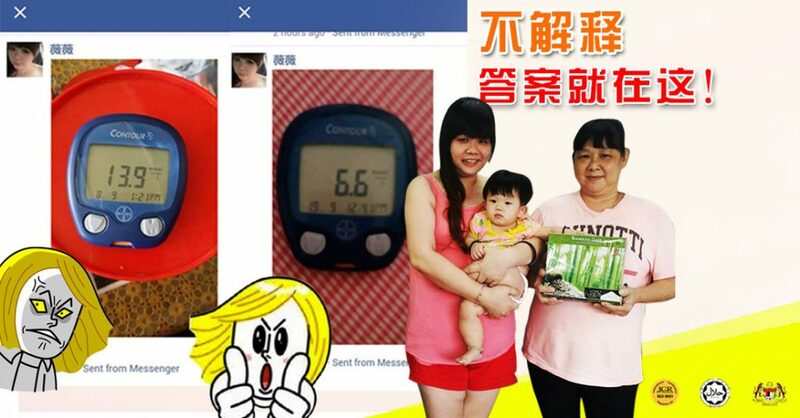 I have been suffering from diabetes since 1996. 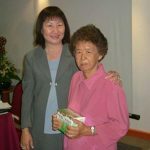 Before that, I tried all kinds of drugs and health care products, but not effective. 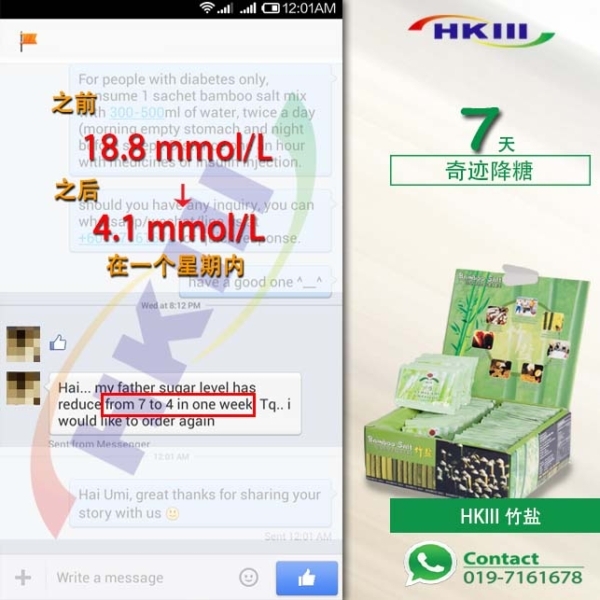 When I was ill, I knew HKIII bamboo salt, I tried to eat. 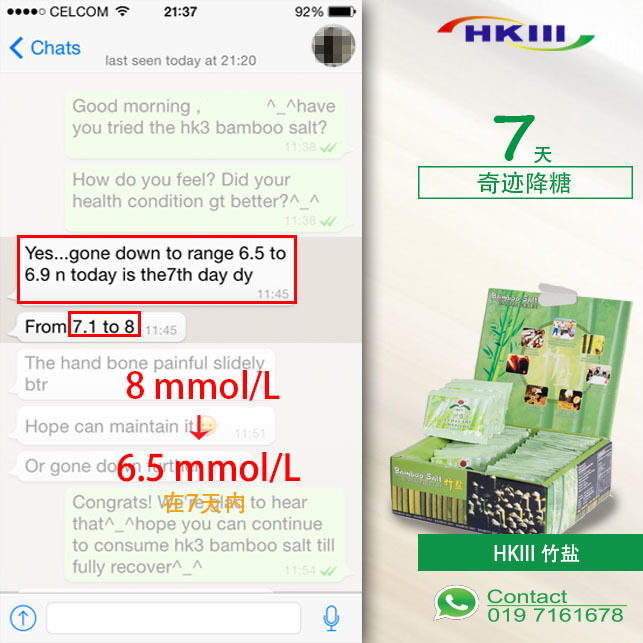 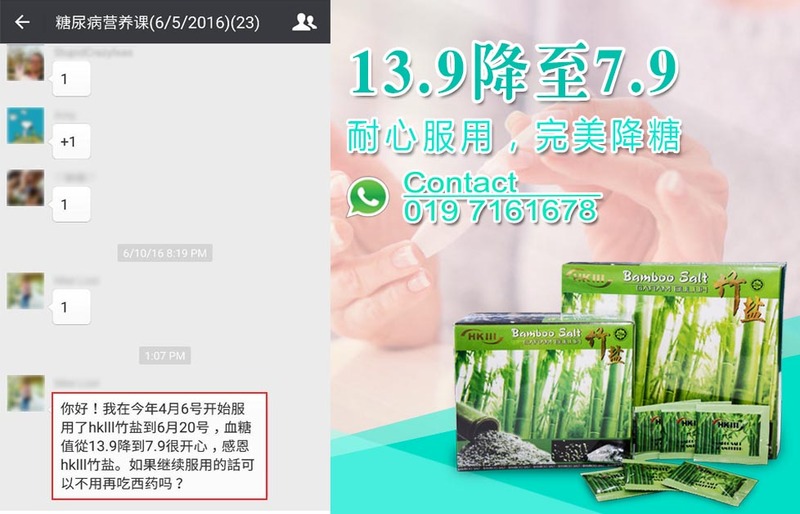 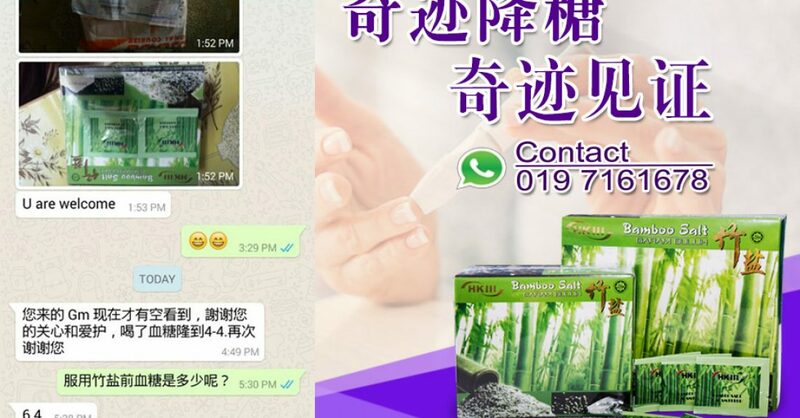 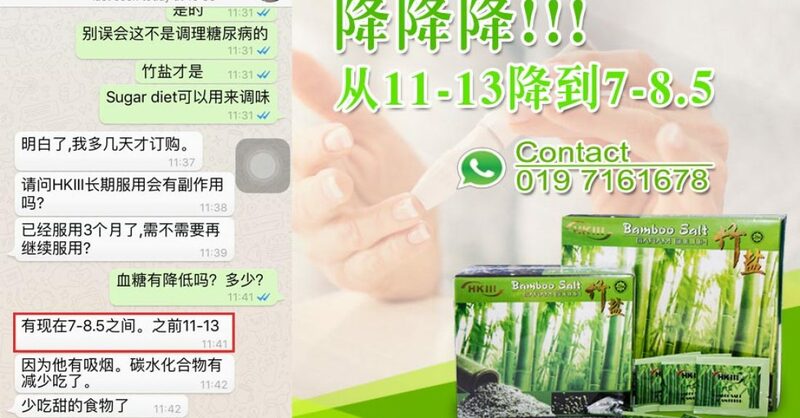 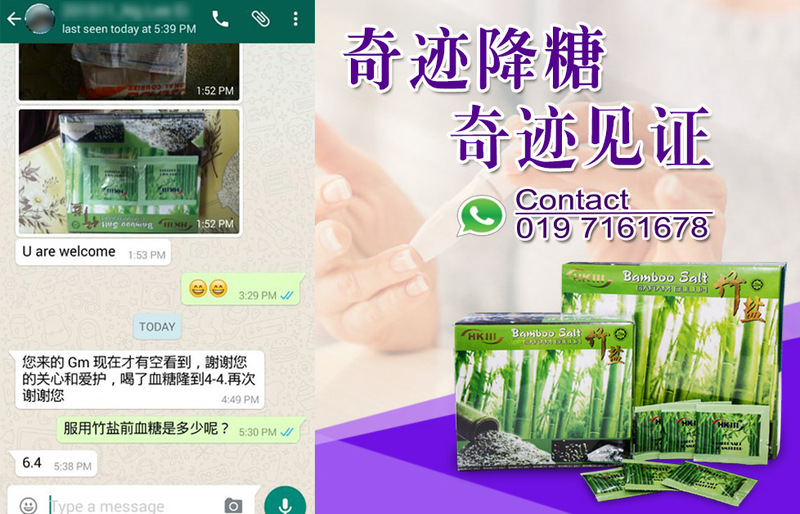 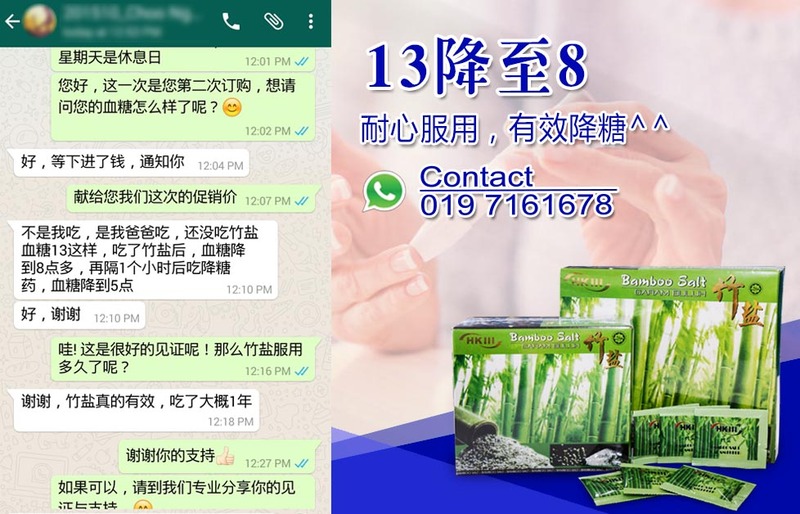 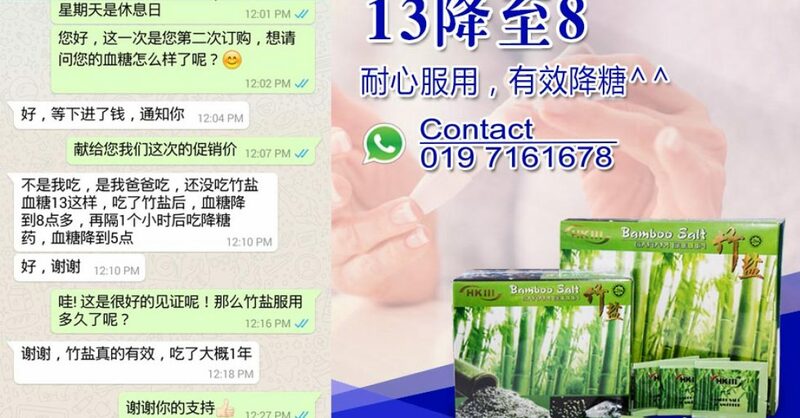 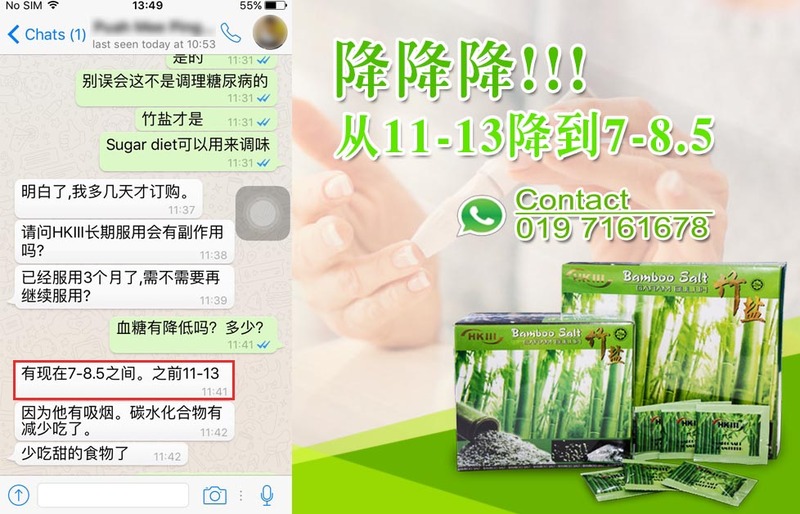 Thank God, my blood sugar dropped from the 26.6mmol / L to 5.3mmol / L after a short period of taking the bamboo salt. Until now, my blood sugar levels are maintained at the healthy range. Thanks HKIII Bamboo Salt! 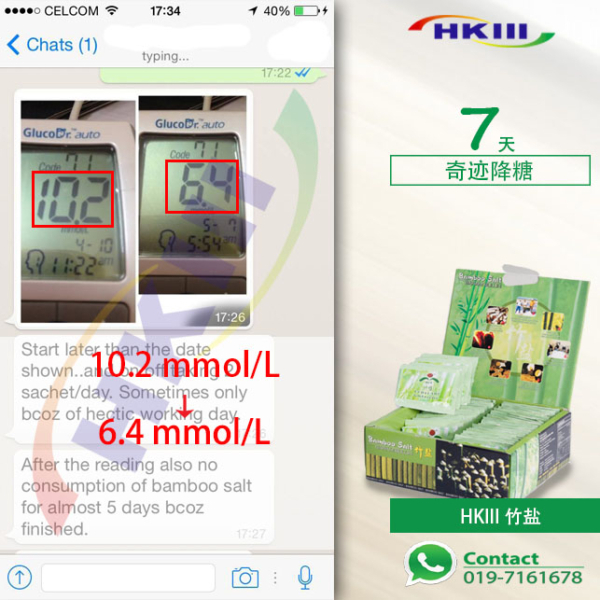 I have been suffering from diabetes for more than a decade, the reading is as high as 12mmol / L. I also have a serious problem of high blood pressure, need to take five pills of high blood pressure medicine every day to control the disease. 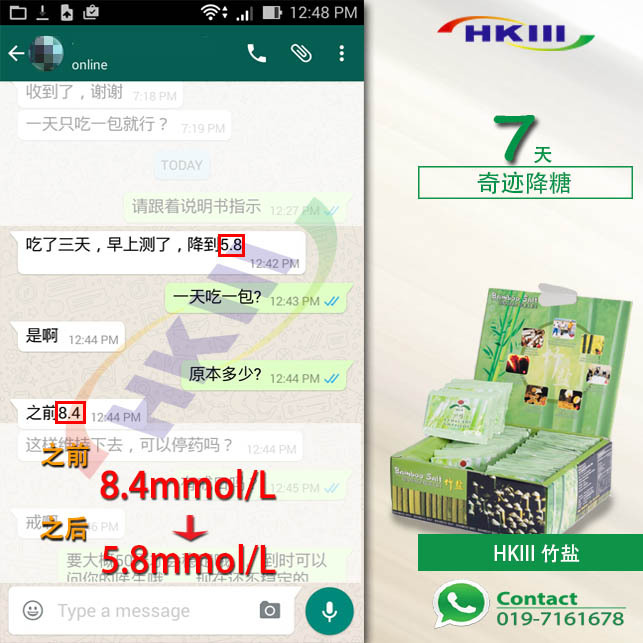 Since drinking bamboo salt water, two months later, my blood sugar has been improved, it stays between 5.5-6.0mmol / L, blood pressure problems have also been greatly improved. 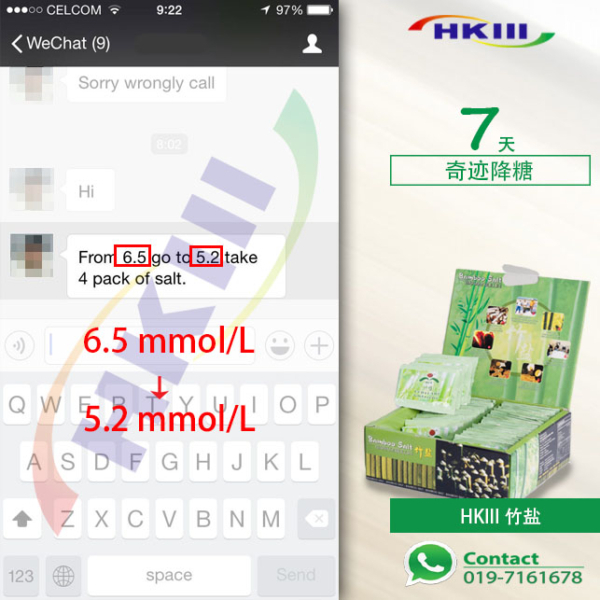 Thanks for the help of HKIII bamboo salt! My name as below, I have diabetes, high blood pressure and heart weakness. 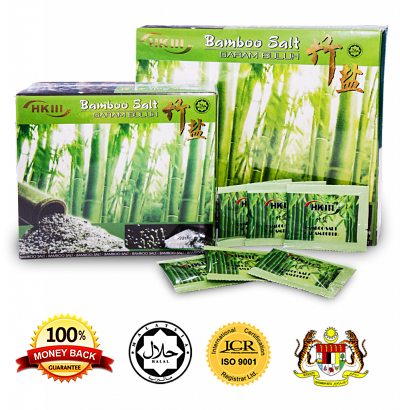 Before I start taking bamboo salt, I feel weak and my feet swollen. 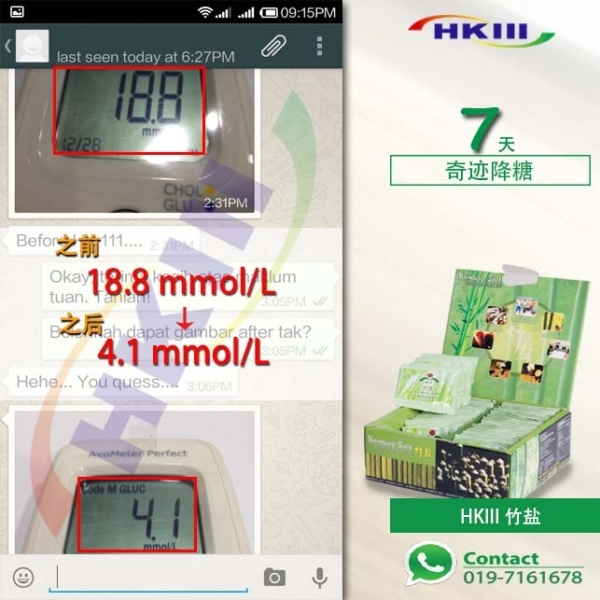 After taking bamboo salt three days later, my blood sugar has dropped from 13mmol / L to 6mmol / L. Other health problems are gradually disappearing after taking bamboo salt for one year later and I become healthier now. 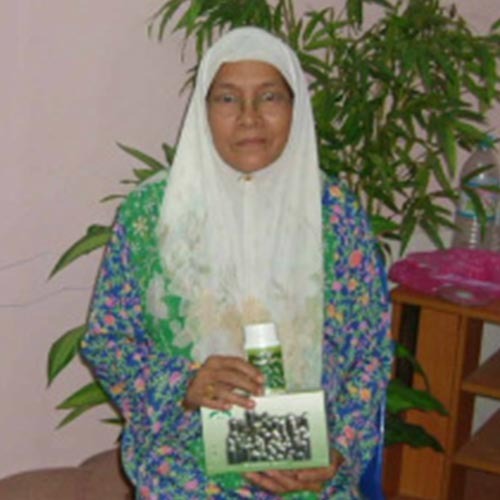 I am very grateful to HKIII bamboo salt, I will continue to take it!